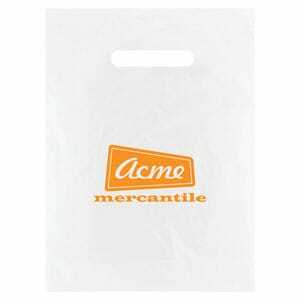 As an alternative to paper, we offer tough strong recyclable frosted plastic bags that are reusable and resilient. 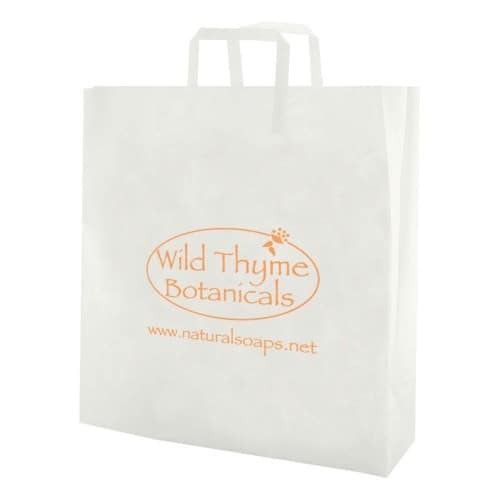 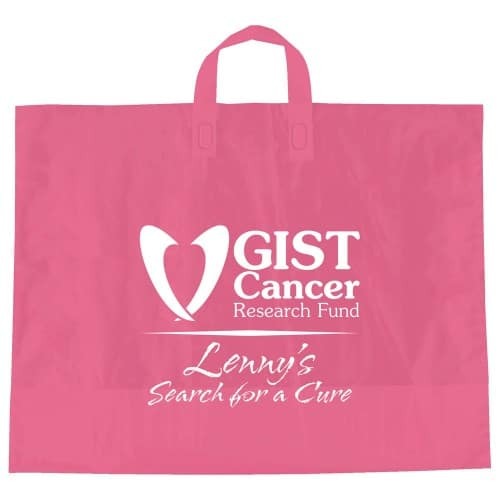 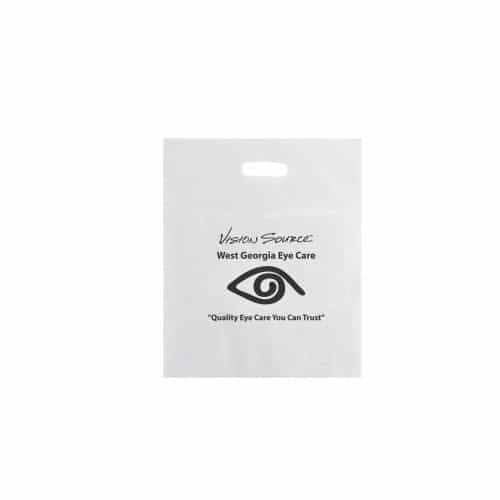 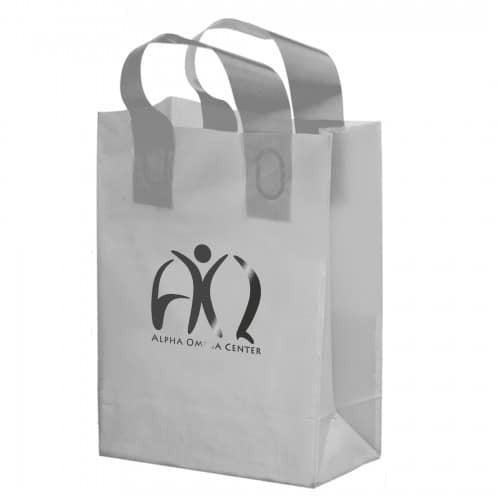 These shopping bags are low cost and are available in a wide variety of handle styles. 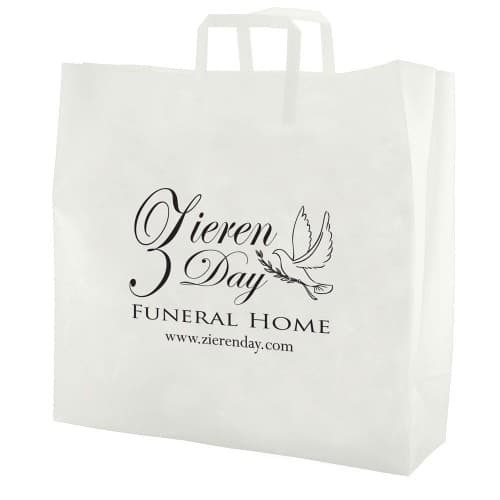 These styles include: frosted eurototes with rope handles, trifold handle, loop handle, and die cut handles. 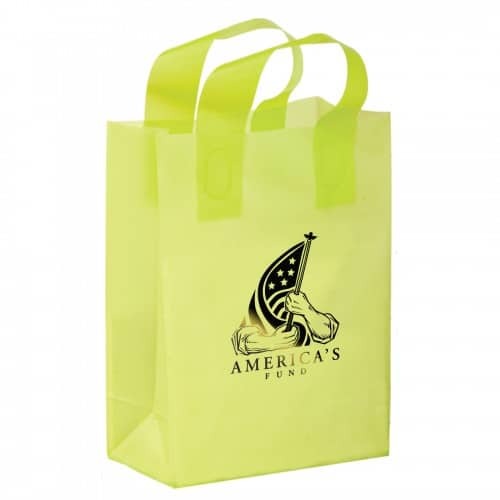 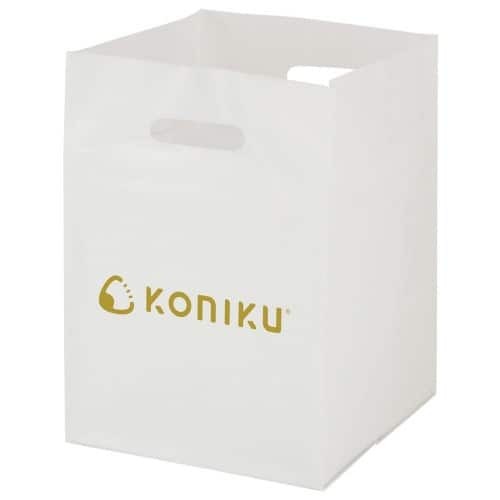 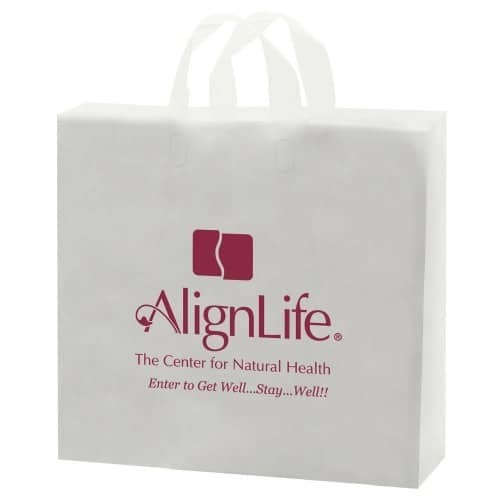 Low cost and space saving, this style is a perfect bag for any retail store, special event, convention, trade show, product launch, party or celebration. 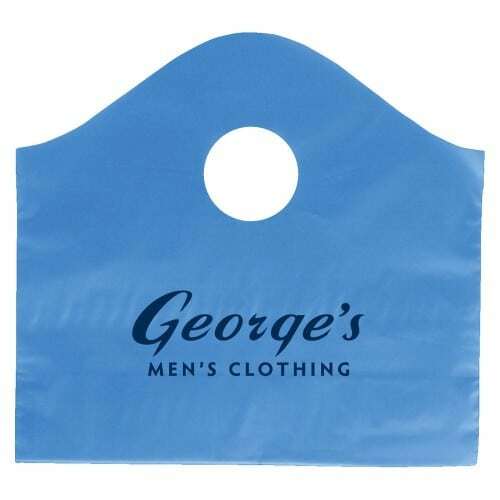 Heavy duty material that is durable and reusable. 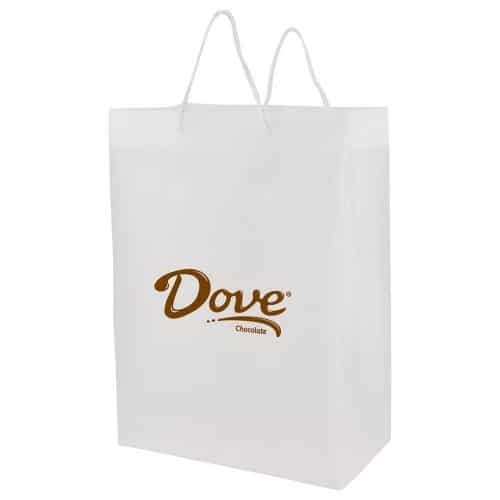 Can hold a lot of weight. 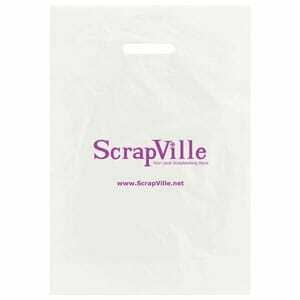 Low cost. 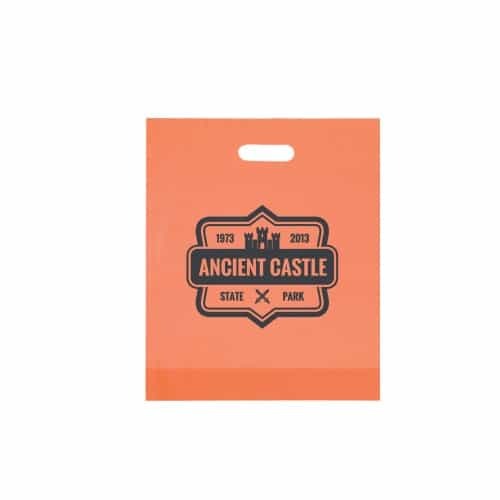 Attractive and appealing. 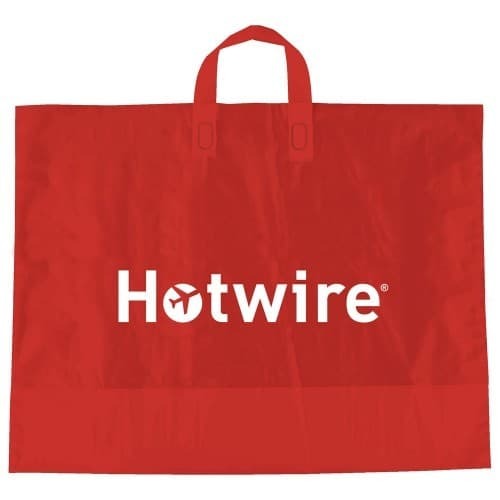 Low minimums and fast lead times. 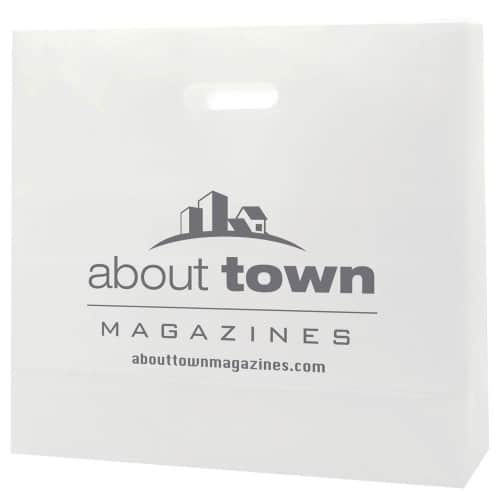 Add a logo for maximum advertising value and visibility.